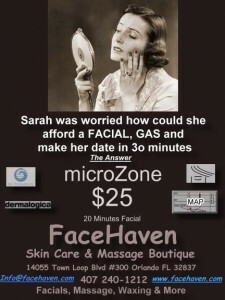 MicroZone treatment – the 20-minute skin fix that gets you in, gets skin repaired and gets you out the door in a snap!Our expert skin therapists and amazing products will provide the solution on the spot in just 20 minutes with treatments like flash exfoliation (great for shaping up before events), extractions and even eye revitalization (perfect after long travels). That means no changing out of your clothes, no fuss and big results! We’ll even show you step-by-step how to identify your concerns and treat them effectively at home to maintain results. 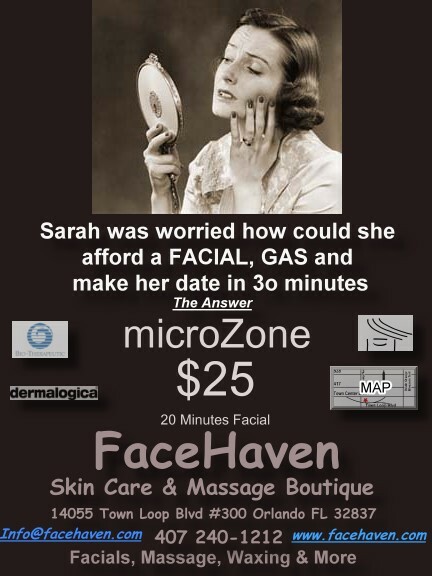 Make an appointment or simply stop by when you’re in need of some skin health attention in a minimal amount of time. when: when you need it.